The October 24 race to elect eight members of the 11-member Louisiana Board of Elementary & Secondary Education is arguably as important as the gubernatorial election taking place the same date. 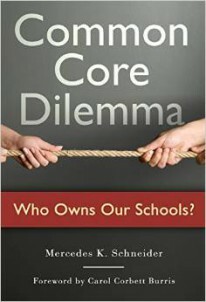 The life or death of the democratic foundation of our system of public education is at stake. Researcher, writer, and teacher Dr. Mercedes Schneider weighs in on the candidates lining up for this election in her blog - re-posted here. I am one of those candidates running in my second attempt to unseat the incumbent in District 1 who is openly in favor of privatization. My campaign won't be heavily financed by my personal fortune or the special interests intent on using BESE as a vehicle for privatization. I ask for your support in promoting my campaign and by contributing much-needed funding in order to reach all the voters in District 1 with my message. See my campaign website linked above for more information about me. Time for John White’s LDOE Chaos to End—– Let’s FLIP BESE. On May 30, 2015, blogger Jason France (“Crazycrawfish”) published a post about the chaos surrounding the administration of special education at the Louisiana Department of Education (LDOE), including the lack of any qualified individuals running any discrete state-level SPED program– and the illegal spending of federal SPED funds. LDOE has become educational Ebola, a secretive, licentious font of misappropriation that is supposed to be overseen by the Louisiana State Board of Elementary and Secondary Education (BESE)– but is not. Louisiana Superintendent John White is allowed grossly unaccountable free reign under a BESE majority elected in October 2011– a majority specifically positioned to approve of Governor Bobby Jindal’s desire to have White as Louisiana state superintendent. The 2011 BESE election was “helped along,” so to speak, by out-of-state influence– which led to out-of-state funding for candidates that would support the privatization of Louisiana public education. For example, in March 2013, wrote a post about Jeb Bush’s Chiefs for Change. In that post, I included email evidence that Bush sent the message to his Chiefs for Change posse to help shape the outcome of the 2011 BESE elections such that John White would be appointed state superintendent as Jindal wished. How about Chiefs for Change member John White? Before White was a state superintendent, Jeb Bush used Chiefs for Change to promote this Jindal-selected, former TFAer by influencing the 2011 Louisiana state board of education election in order to “ensure” that the board composition would favor Jindal allies. An article on Louisiana state board of education (BESE) races– that will impact selection of the next chief in Louisiana. Gov. Jindal wants John White as next state chief. Governor Bush is lending his support/endorsement to the candidates Gov. Jindal is supporting for the State Board of Ed. Attached to the above email is this Baton Rouge Advocate article regarding the fundraising of the BESE candidates. Jeb Bush wanted John White as state superintendent in Louisiana. He used his influence to make it happen. As it turns out, the 2011 Louisiana BESE election was a monumental example of the power of reformer money; the education reform candidates raised $2,368,786, compared to the $199,878 raised by the remaining candidates. Two years later, in March 2015, White now chairs Chiefs for Change. By October 2011, Jindal wanted White, once a Teach for America (TFA) executive director for Chicago and who had only been Recovery School District (RSD) superintendent for less than six months including summer break, to become Louisiana state superintendent. However, Jindal could not appoint White to the position. He could only recommend. As of 1988, BESE appoints the state superintendent. BESE also has the power to “exercise budgetary and fiscal control over the educational programs and services at the elementary and secondary (state and federal funds).” As such, BESE form resolutions for the Louisiana legislative auditor to audit any and all LDOE programs. The state superintendent is supposed to answer to BESE. And there has been a lot for which John White should be answering– and likely all of it is connected to state and/or federal money. BESE could audit all LDOE contracts– like those between LDOE and inBloom— or between LDOE and Pearson. It could audit LDOE employees to see if they are qualified to receive payment from specific funding sources earmarked for certain programs. BESE could require regular and systematic audits of all charter schools. It could review past and current processes for voucher school approval and the state’s system for tracking voucher monies. BESE could examine all Freedom of Information Act (FOIA) requests received by LDOE to see which were honored and which were not. BESE could require individuals employed by LDOE for certain jobs to publicly present information related to their jobs– such a clear presentation and documented evidence on how school performance scores are calculated and how data is regularly and consistently checked for accuracy and completeness. In short, BESE could throw the doors of LDOE wide open to the public and require any and all audits that John White refuses to conduct. October 24, 2015, is coming. That is the date of the next BESE election. Louisiana parents, teachers, and other community members: If you are tired of feeling helpless as you read about the continued corruption festering behind the closed doors of a runaway LDOE, October 2015 is your chance to fight back. But you must show up at the polls, and you must be able to smell the corporate-reform-funded rat. That smell will be easier to discern in 2015 than it was in 2011. BESE has eleven members. Three are appointed by the governor, and eight are elected, one for each of eight BESE districts. In order to clean up LDOE, a BESE majority of six non-corporate-funded representatives is needed. 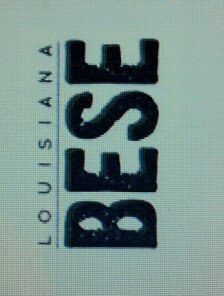 “Flipping BESE” in 2015 is a real possibility. In 2015, retired teacher Lee Barrios will be running against Garvey. Barrios is regularly attends BESE meetings, frequently sends LDOE public records requests, and it otherwise very active in the affairs of Louisiana public education. If elected, Lee Barrios will hold John White accountable. She will work to clean up LDOE corruption. District 2 (St. Charles; St. James; St. John; part of Assumption; part of Orleans; part of Jefferson) currently has TFA executive director Kira Orange-Jones, who has already raised $104,500 and had almost $10,000 already on hand, giving her a total of $114,300 as of April 2015. Orange Jones’ funding includes a total of $10,000 coming from Recovery School District (RSD) New Orleans charter-pusher Leslie Jacobs, her husband Scott Jacobs, and her brother, Stephen Rosenthal, $5000 from James Garvey, and $5000 from known local corporate reform financier, Lane Grigsby. Orange Jones also has a total of $35,000 from four suspiciously-named PACs, all having Baton Rouge PO boxes: East Political Action Committee (BR PO Box 80064); North Political Action Committee (BR PO Box 14538); South Political Action Committee (BR PO Box 14905), and West Political Action Committee (BR PO Box 14091). These PACs are also connected to Grigsby (see Noel Hammatt’s comment in comments section). Orange Jones has no one running against her yet. She has contributed virtually nothing to BESE discussions. All she has done is support the BESE privatizing push by voting the way of the BESE majority and provide a TFA presence on the state board. A sign with the message, “I’ll vote the way most of BESE does,” taped on Orange Jones’ chair in her absence could have served her constituency equally as well. Someone with a genuine interest in public school students needs to come forward to run against this amply-funded, corporate-reform pet rock. District 3 (Iberia; St. Bernard; St. Mary; St. Martin; Plaquemines; Lafourche; Terrebonne; part of Jefferson; part of Iberville; part of Point Coupee; part of St. Landry) currently has St. Martin Superintendent Lottie Beebe as their BESE rep.
Lottie Beebe will be running again. She has consistently stood against the privatizing BESE majority. Be sure to re-elect her. District 4 (Bossier, Caddo, Webster, Desoto, Red River, Bienville, Sabine, Nachitoches, Winn, Vernon) currently has governor-appointed Caddo Parish principal Mary Harris (to finish Walter Lee’s term). Mary Harris plans to run for the District 4 seat. She has been a positive presence at BESE and is opposed to Common Core. I would vote for her if I were in District 4. Running against her are Caddo teacher Glynis Johnston and Caddo central office administrator Victor Mainiero. Johnston is anti-Common Core, and Mainiero is pro-Common Core. My concern here is that the anti-Common Core voters will divide their votes between Harris and Johnston, thus running the risk of a majority electing Mainiero. For this reason, I encourage anti-Common Core voters in District 4 to support Harris. District 5 (Claiborne, Union, Morehouse, West Carroll, East Carroll, Lincoln, Ouachita, Richland, Jackson, Madison, Caldwell, Franklin, Tensas, Grant, Lasalle, Catahoula, Concordia, Rapides, Evangeline) currently has Jay Guillot, an engineer who has contracts with RSD and is often absent from BESE meetings. Guillot had not filed a campaign finance report related to the October 2015 BESE election. This could mean that he has applied for an extension– or it could mean he is not planning on running. The District 5 seat is ripe for a representative who genuinely supports Louisiana public education. District 6 (Washington; part of Tangipahoa; Livingston; part of East Baton Rouge; part of Ascension) is currently held by BESE president and chief John White enabler, Chas Roemer. As is true for Guillot, Roemer had not filed a campaign finance report related to the October 2015 BESE election. This could mean that he has applied for an extension– or it could mean he is not planning on running. Two candidates are running for District 6: former LDOE data analyst Jason France (“Crazycrawfish”) and Kathy Edmonston, the Parent Resource Facilitator for the Ascension Parish School System. If Roemer is not running– and if no corporate-reform-shill replaces him in the running– then either electing France or Edmonston would signal positive change. But my preference is with France. Given his experience with the inner world of LDOE, he would be a valuable resource when it comes to wording BESE resolutions regarding auditing LDOE programs, procedures, and finances. And he has more than proven himself as a relentless and capable investigator. District 7 (Beauregard; Allen; Calcasieu; Jefferson Davis; Acadia; Cameron; Vermillion; part of Lafayette) is currently held by complete sellout, former teacher of the year Holly Boffy. Boffy has currently raised $90,000 toward the October 2015 election. She already had some money left over; minus expenses, her total available as of April 2015 is $105,500. Boffy has received a total of $37,000 from the same mysterious North-South-East-West Political Action Committees with BR PO boxes as Orange Jones. Boffy also received a total of $20,000 from Lane Grigsby and his family (wife Bobbi, son Todd, and son-in-law Michael Moran) and a total of $7,500 from Leslie Jacobs and her brother Stephen Rosenthal and his wife, Sandra. Running against Boffy is St. Martinville principal Mike Kreamer. It is time for Boffy to go. District 7 voters: Vote for Kreamer. District 8 (Avoyelles; West Feliciana; East Feliciana; West Baton Rouge; part of East Baton Rouge; St. Helena, part of Tangipahoa; part of St, Landry; part of Lafayette; part of Point Coupee; part of Iberville; part of Ascension) is currently held by Carolyn Hill. Hill has an established record for standing with Lottie Beebe in voting against the BESE majority and trying to hold LDOE accountable to Louisiana taxpayers. I do not know if anyone is planning to run against Hill. I spoke with Jindal appointee Jane Smith, and she said that she would like to be reappointed. Smith has joined with Beebe and Hill to become a force pushing for LDOE accountability. It is beyond time for the stories of White/LDOE chaos to stop. Let’s flip BESE in October 2015.